The Studio Projects C3 is a large diaphragm dual membrane condenser microphone employing a 1.06” (27mm) capsule, high quality, low noise amplifier and balanced, transformerless output circuitry. It features three onboard switchable patterns, a -10dB pad and 6dB/octave@150Hz high pass filter for added control in all manner of recording situation. The C3 has a precise response and a distinct sought-after sonic characteristic commonly associated with large capsule microphone designs. The beauty of the C3 is in the fact that it is capable of achieving results which are typically entrusted only to microphones boasting very large price tags. 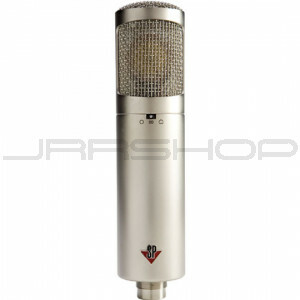 The reasons behind this can be attributed to the manufacturing process and the components used to build the mic. It is not “magic”, but rather solid, proven design principles and repeatable build tolerances that are responsible for the performance of the C3. The ratio of quality to price guarantees the C3 to be a benefit to nearly any studio from the modest home setup to the high profile, big-city recording facilities. As a result of uncompromising dedication and advanced production capabilities, Studio Projects continues to broaden the range of quality pro audio microphones & electronics for today's recording environments.